Our No. 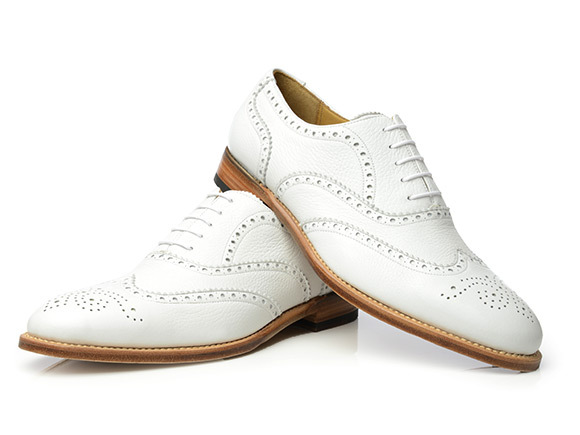 471 is a full-brogue Oxford in white, crafted using the Goodyear-welting method. 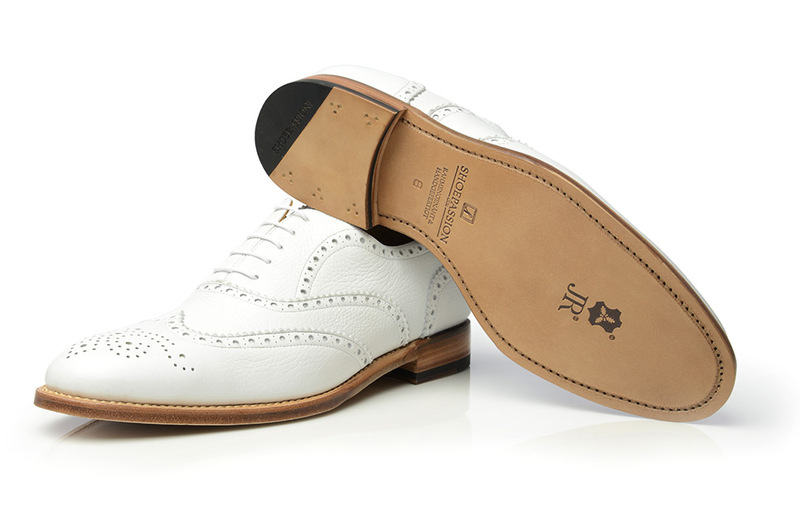 So-called “Scottish punching” decorates the exotic leather upper, which is made of finest dyed deerskin in white. 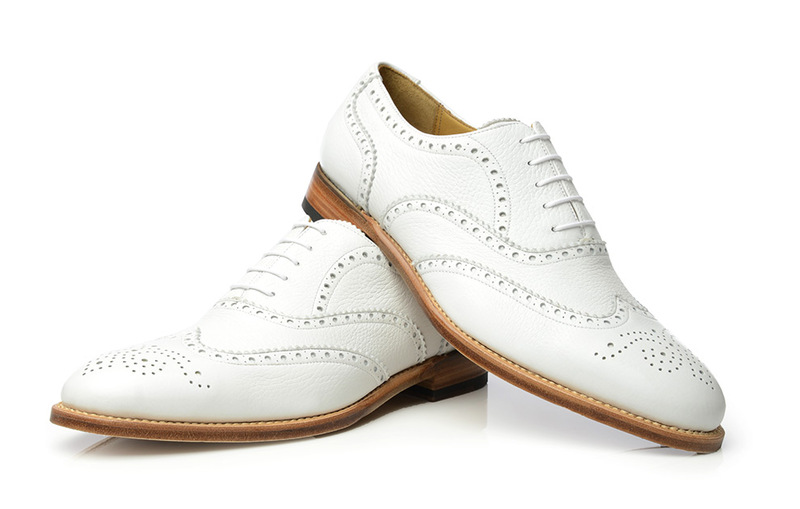 Deerskin is an extremely soft and luxurious leather and a real rarity amongst high-quality men’s shoes. 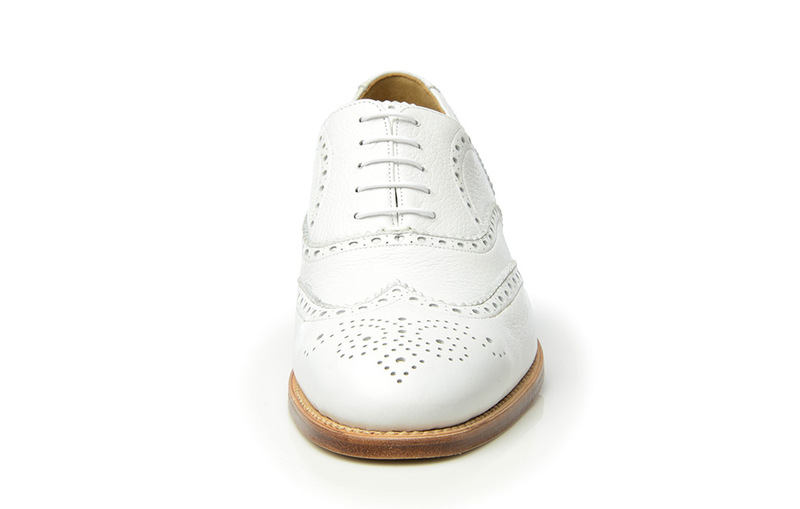 The full-brogue Oxford is characterised by a closed five-hole lacing and a traditional punched pattern. 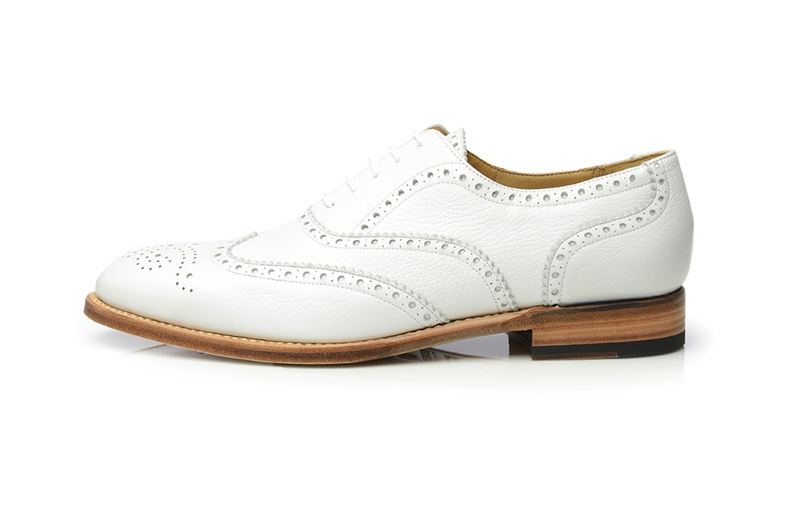 The richly ornamented lyra perforation of our deerskin shoes runs along the vamp’s edges, the toecap and counter cap as well. 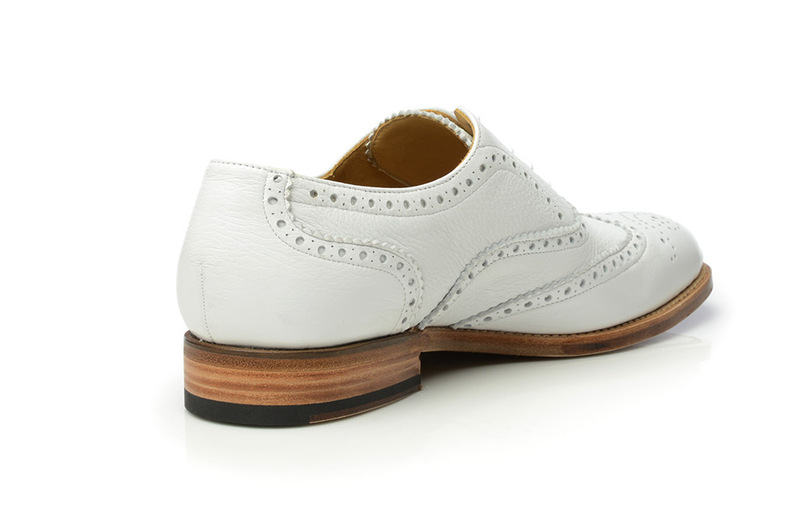 Originally, a punched leather upper was more functional than fashionable. 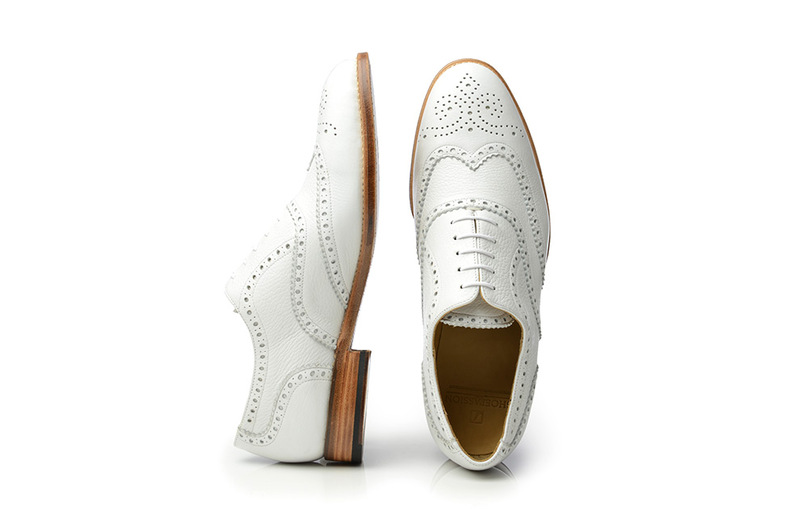 The brogue design allowed men to travel through the wetlands of Scotland and Ireland and drain the water from the shoes. The fine holes also kept the shoes dry and aerated during the day. Softness, smoothness and durability are typical characteristics of deerskin leather, which is rarely used for high-quality men’s shoes. Deerskin is very soft and supple. In fact, it moulds to the feet and body with repeated wear. 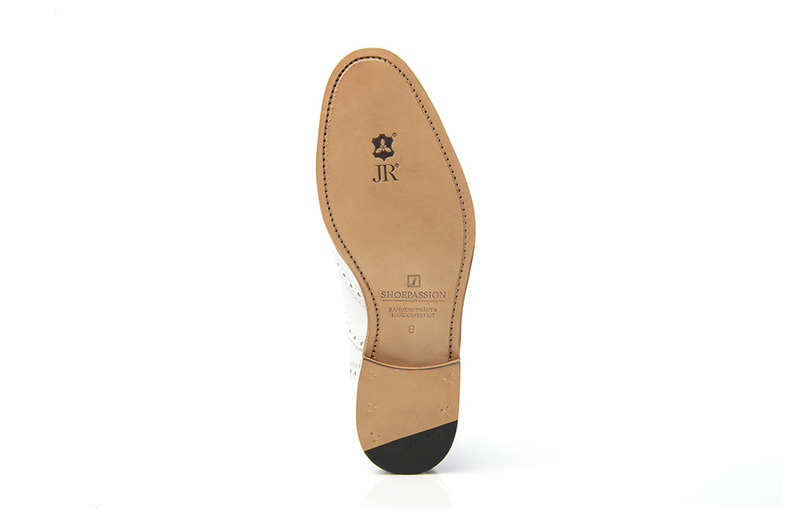 Furthermore, this buckskin is ranked as the third strongest leather available to shoe manufacturers. 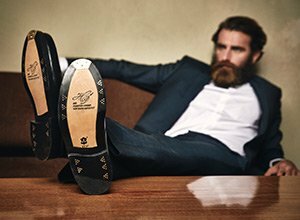 The Goodyear-welting method meanwhile, guarantees breathability, durability and extraordinary comfort. 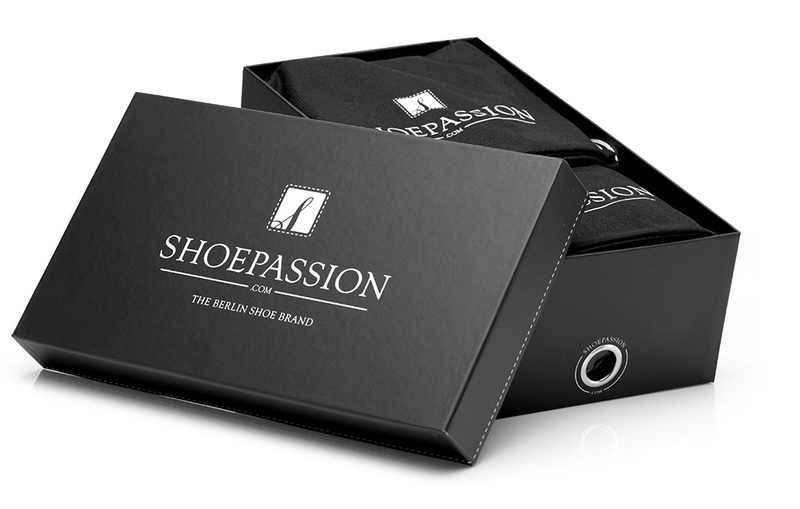 Insole, heel and inner linings are made of vegetable-tanned cow leather. Our No. 471 is a real eye-catcher. 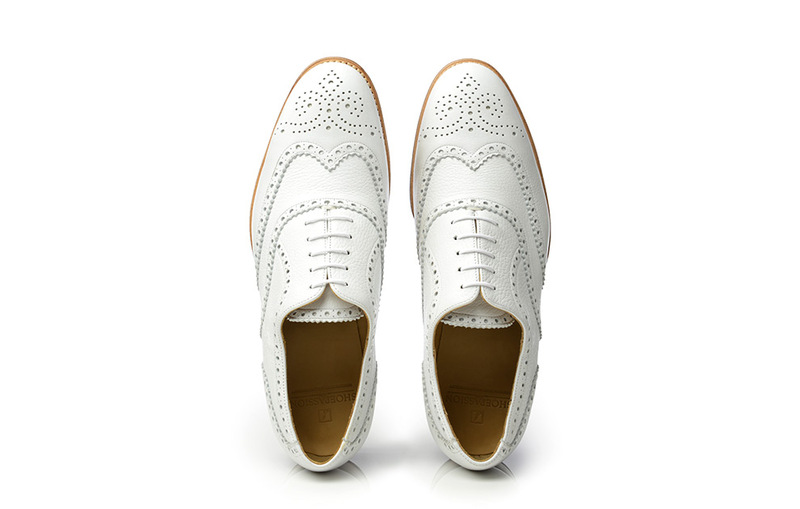 The white deerskin and elaborate perforations make it the perfect choice for hot summer days. Comfortable shoes with exotic flair. 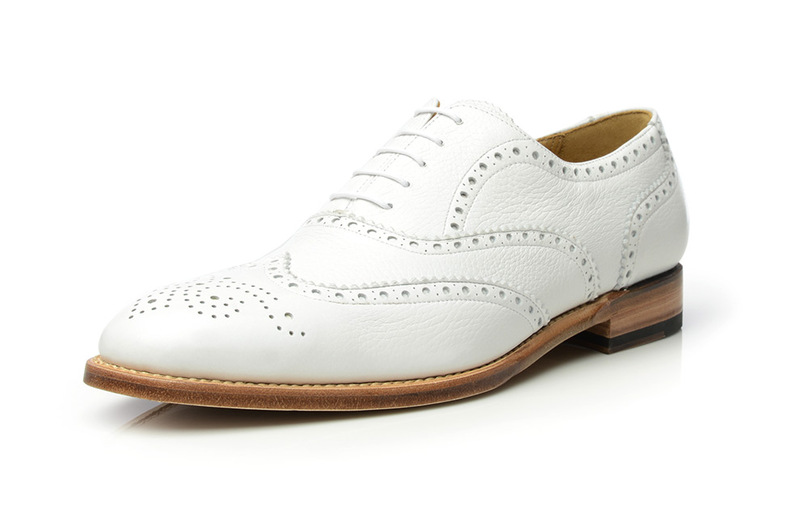 Comprising several parts with perforations and gimping along the edges, together with a punched wing cap, this is a special shoe style. 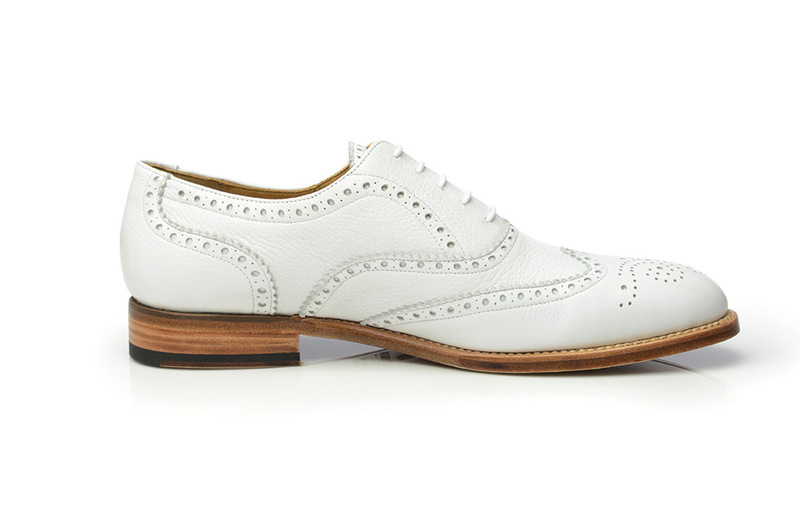 Exuding sportive chic and understated elegance, the white full-brogue Oxford of deerskin is a versatile work of art in leather and an expression of the fashion-conscious gentleman’s good taste.